President Trump has flip-flopped regarding his stance on gun control in the last several days. However, to say that he, "Surprised everyone" during a meeting at the White House on Wednesday 28 February - would be a dramatic understatement. What follows is a nonverbal analysis of one key moment of that meeting. DONALD TRUMP (continuing at 2:22): ... It doesn’t make sense that - I have to wait 'til I’m twenty-one to get a handgun, but I can get this - weapon at - eighteen. I dunno [up-talking]. So I was just curious as to what you did in your bill? You don't address it. DONALD TRUMP: You know why? ‘Cause you’re afraid of the NRA, right? After President Trump's retort to Senator Toomey, Trump smiled. Trump's smile was a sincere smile (aka a Duchenne Smile). This particular emotional expression is a rare event for Donald Trump - truly quite unusual. 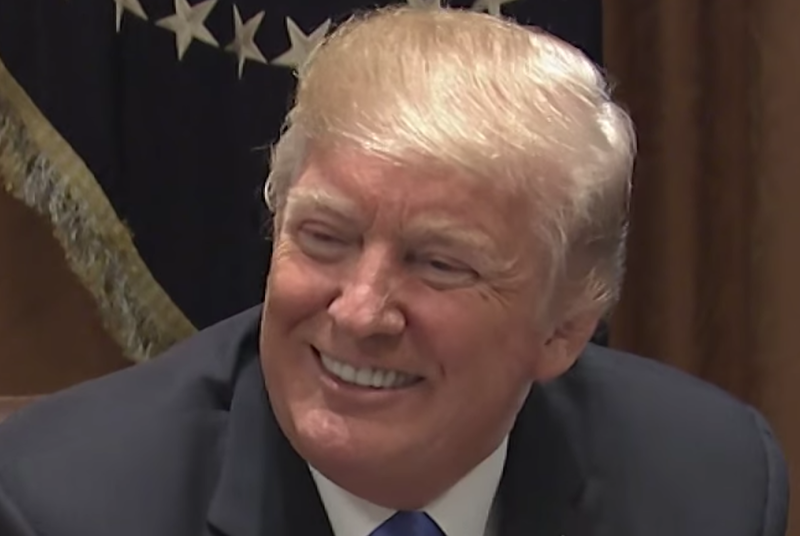 All politicians' smile - yet they are uncommonly sincere - and with President Trump, sincere smiles are extremely unusual. Summary: Donald Trump took sincere pleasure - experiencing a moment of rare true joy-happiness - in his act of calling-out Pat Toomey, a Republican Senator - on camera - saying that Toomey was "afraid of the NRA". Body Language Analysis No. 4188: Donald Trump Gets Booed at Davos for Calling the Press "Fake"